Deb's Lake Conroe Real Estate & Stuff! : Do you think you won't benefit from entering a Contest? WRONG! You may have the idea that there is no point to enter a Contest in the Rain as there is a lot of competition and who has time for all that drivle anyway? Right? Again, Wrong! Please ask yourself, "Why am I here?" If any of these reasons might be among your answer then you should be entering every available contest. I am here because I want to gain more business through blogging. I am here due to peer pressure to begin blogging. I am here because I want more exposure. I am here because my spouse threatened bodily harm if I didn't start Blogging. I am here to meet new contacts for referrals. I am here to make new friends. I am here? I didn't know I was here! I am here because I am an insomniac. I am here to be picked up by Google. I am here because I am addicted to POINTS. I am here because I have nowhere else to go. I am here because I have a crush on Bob Stewart. I am here because I have a crush on Kerrie Greenhalgh. I am here because, because I am! I am here because I like to write. I am here because I like to be read. I am here because writing is making me money. I am here in hopes to make more money. I am here because ... well, you must be here for some reason, right? Or, should we say, "WRITE". Yes, you should! Go to the bar at the top of your HOME PAGE and click on Contests to review. There are currently 4 contests running and the POINT SYSTEM IS RUNNING RAMPANT! If you choose to do just the minimum for each contest you can bump yourself up on the Leaderboard in a Hurry with THOUSANDS OF POINTS! The more we write the better and easier it gets! 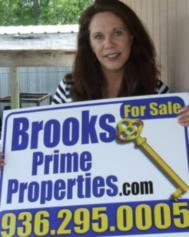 Sponsored byDiary of a Realtor Groupand Deb Brooks. Join today and get your Posts In before July 31, 2011 and receive an extra 500 points equaling 1000 points minimum for each submission! 1ST ANNUAL ACTIVERAIN TALENT COMPETITION!!! Sponsored by Stacey Smith and the VBLOGGERS group ! Join today and work on your new Video Blog! You can do it! Sponsored by Bob Stewart and DocuSign! Whether you have ever used it or not get your post in today! Good News is Good for Business, "The Contest" !!! Sponsored by Peter and Linda Pfann! This is a Pfabulous Contest to help shape a new attitude! This is a type of a POSITIVE PAY IT FORWARD for Real Estate! Check your CONTESTS LINK OFTEN! Thanks Deb for reminding us all about the contests that are currently running! Something for everyone that's for sure. Thank you Susan! What great Contests we have going! No one should miss them! Deb - love the way you incorporate humor into why we should be blogging and entering Active Rain contests - they are also a great way to network and get to know other members! I'm involved in a few right now - they are a fun challenge! (How did you know I had a secret crush on Bob Stewart and I think every man on AR has at least a little crush on Kerrie - lol) Suggested! Kristine, I think we all do at least a little! Have a crush on Bob that is! Too late as Christa would beat us with a stick! Kerrie? No doubt all men enjoy having her around. I know you are involved and I think it's great. I so enjoy getting to know everyone and practicing my writing skills. Thank you so much for the suggest. I'm glad you enjoyed it. See you in the rain! I am here for the friendship and education. Love it! Love it! Love it! CONTESTS in ACTIVE RAIN! I do need to check out what's going on - been so busy with biz (all good). Ah, Deb! We all have a thing for Kerrie! She is the daughter I forgot to have! I love all your reasons I AM HERE Deb especially the HOOT ones. Question, when do you receive the points for entering a contest? When it is over? When you submit your entry? I didn't even realize there was a contest selection on the bar. Thanks for sharing the current contests. Kathy, I know what you mean. I have the same spirit! It helps to encourage all of us to get into the game! Sharon, I know. Me too. There are a combination of many things and people that keep me here including you. How is Lindsey now? She must be doing better. Her mom loves her. Patricia, don't you know. She is such a kind and lovely person. That would mean I would have two kind and lovely daughters. How lucky could one person get? Karen, jump in with both feet. I will look for your submission now! Paula, in answer to your question we all receive our points after the contest. It can be as long as 10 days before we see them since there is so much work that goes into the scoring and credits! Believe me, it's worth the wait! Mimi, no problemo! I go and check it now on a regular basis. So glad to have it. Thanks to our fab staff at AR! Colleen, not to worry...it's new. I learned about it from a post of Kerries! Thank you all for coming by and I am looking forward to reading all of your entries. Thank you so much for posting this. What an awesome idea. I never even thought about this. Those contests are so much fun and the points aren't bad either. I have already submitted my blogs for two of the contests. I am at this very minute trying to divine my talent. I can't sing or dance or juggle or demonstrate a cooking project. At least I can write about good news in our business. Thanks for the reminder that there are some very challenging contests now. Deb: I feel a little silly, because I never knew about that "Contest", button and I've been here on AR for a long time.....thanks for pointing it out!!! Hello Deb and contests are good for some, VB really doesn't do contests! I have had them, been a judge for them and I will try my hardest to enter your group contest ... because VB really enjoys you and your presence at AR. AhhHaa, the link is new, that is awsome, I usually inadvertently come across a contest. You are the Best! Sometimes we all need a gentle reminder of the good things here on AR. The contest button is a great feature that was recently added to help us find these contests. Thanks for the post.